For as long as I can remember mosquitoes have been my nemesis. I’m fairly certain it has something to do with my wonderfully sweet disposition and glorious natural aroma, whatever it may be these tiny creatures think I am the feast with which their famine will be ended. Summers growing up in Southern California were pretty mild but at some point the blood suckers would come out and the citronella candles and bug spray would go on. Luckily mosquito season never lasted long. I also got lucky in the Bay Area because it was rarely ever warm enough for mosquitoes and the one mosquito that lives in San Francisco is in love with another friend of mine, so I was safe. When I moved to the East Coast my mosquito awareness went back into over drive. At our apartment in Brooklyn there were 3 doors before you actually got into our apartment and the rule was the outer one had to be closed before the inner ones could be opened, like a decontamination zone of sorts. Whenever I find myself in a high mosquito population area I like to be as prepared as possible. In the Amazon all our clothes were dipped in Deet and I was slathered in it every time I went outside - neurotoxins be damned! In Mexico, I pretty much had the bug spray can (deet-free) in my hand the entire time, some days my legs were white from the powder coating. Planning other trips, I might suggest we explore a cooler climate where bugs would be avoided - UK in summer, Spain in winter, Germany in October…I never let moquitoes stop me from traveling somewhere, I just keep their existence in mind. You might think me a bit nuts over this mosquito obsession, but as I write this I’m covered in 15 bites just from this week. Nothing makes me more miserable than laying in bed feeling like I have the chicken pox over and over. I’m a sensitive soul and every time I get a bite it swells up to the size of a quarter and itches like hell for at least a week if not longer. Delicate flower here obviously. On our last trip to PR I recall being covered in bites regardless of whatever chemical I was wearing but I grinned and bared it since we were only here for 7 days and I wanted to enjoy as much of my time here as possible. When we were discussing moving here full time the topic of mosquitoes came up; I’m pretty sure Alejandro’s words were “are you going to be able to handle it?” I’m the first to admit I’m a wuss when it comes to these needle nosed suckers. If you bite me and leave a welt for a week I’m pretty much going to hate you. As we prepared for our move, I mentally prepared for the mosquitoes. My inner mantra was to be one with the mosquitoes and just accept them as a part of the life here. My outer mantra was to prepare myself physically as much as possible. I started taking a daily dose of vitamin B12 about a month before getting here and started reading up on how to naturally defend myself. If we are going to be here for an indeterminate amount of time, slathering myself in toxic chemicals everyday seemed a little harsh, even for me. 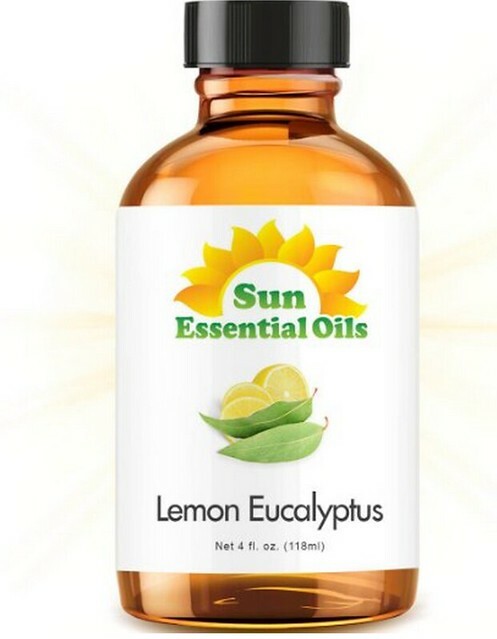 In my research I found a CDC report that Lemon Eucalyptus oil was effective as Deet. Yes!!! This was going at the top of my list to buy. Mosquito defense became a common topic for me as people asked about our move to PR and it helped contribute the amount of information I was getting about how to protect myself. Before we left I ordered some Lemon Eucalyptus oil from Amazon. You have to make sure the oil you buy is actually from the Lemon Eucalyptus tree (Corymbia citriodora) and not a mixture of lemon oil and eucalyptus oil. 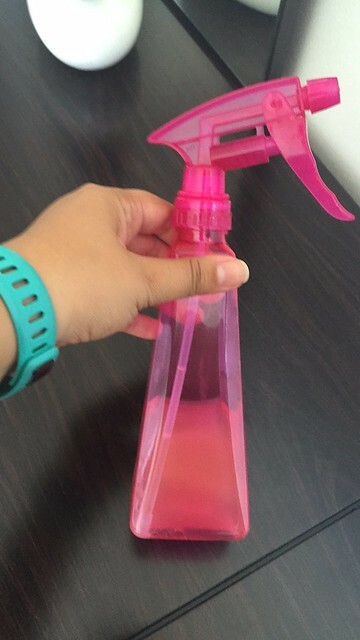 Alejandro found a recipe online for the actual spray - you dilute it with other natural ingredients as a little oil goes a long way - but I decided to wait until we actually got to PR to make a batch. While it was pretty high on my priorities once we got here, we had bigger fish to fry so it took me about a week before I got all the supplies. Luckily where we’re staying in Carolina is windy and right now pretty dry from the drought so not too many mosquitoes. Once I got the rest of the supplies - coconut oil, real vanilla, witch hazel, spray bottle - I mixed up a batch. I pretty much put it on like I would lotion every morning after showering. Smells strong but not too offensive in my opinion, and the strong smell dissipates after a while. Our few nights eating out I didn’t get any bites and when we eat dinner at home its on the balcony and no bites occurred there either!! I was feeling pretty proud of my success; my vitamin B12 and natural spray would be my defense against these suckers!! Cass - 1, Mosquitoes - 0. We came to Rincón this past week to check out the property here and to get to know Rincón a little since this is ultimately where we’ll be living (post to come on Rincón). My smug satisfaction with victory against the mosquitoes was quickly dissolved when we got here. I forgot to reapply my spray after sitting in the car for a good part of the day and when we arrived at our rental for the week I hopped out of the car, started unpacking luggage, and was immediately attacked!! Rincón is a beautiful lush part of the island and with that comes rain pretty much every day in the summer. This is mosquitoes home turf and I had walked right in without my defense and maybe a little complacent. From that initial attack on, I carried a small spray bottle in my purse and reapplied pretty consistently. While it was some defense, any spot I missed was fresh bait. My elbows each have bites, both feet are covered in bites and there are even a couple on my hands (how is that possible?!?). My discomfort peaked a couple nights ago when I was awake a good part of the night scratching. I had forgotten to bring some Benadryl pills and the various itch creams I have don’t provide much relief anymore. Alejandro’s mom gave me a few 2nd generation antihistamines she had in her bag from Spain. I only took one and it has worked wonders!! I haven’t really itched in 2 days now and the few new bites I’ve gotten don’t seem to bother me. I googled the pills but they aren’t approved by the FDA and only available in the EU. If any of you go to Europe, please send me antihistamines. I’ll trade you an endless supply of tropical fruit and a place to stay for pills! I don’t want you to think that the mosquitoes are a heavy fog you have to walk through on a daily basis here, they definitely aren’t. But the ones that are here seek me out as soon as they smell me. Alejandro only occasionally wears bug spray and hardly gets bit. He also uses me as his own personal insect repellant knowing that if I’m around he’s not the one that’s going to get eaten alive.